How do you get your kids to participate with housekeeping ? I guess that’s the dream of all parents. As so, we’ve tried quite a lot of tactics throughout the years. Carrots and stick never really worked, so we tried positive reinforcement, gratitude … Unfortunately, nothing really made any noticeable improvement. Why not try the same thing at home ? 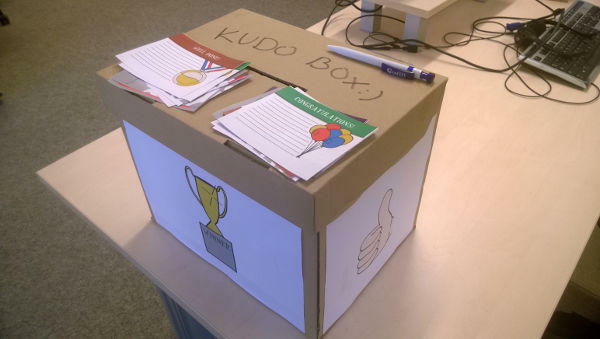 During the summer holidays, we’ve build kudo boxes for everyone in the family. It’s a nice and easy way to express gratitude for any good stuff our kids do. The great thing is that it’s cheap, it’s easy to carry cards around and to hand one out at any moment. First, we now have very joyful kudo reading sessions : our kids rush to the boxes to check for new cards. The second most noticeable change we observed is that they are both participating more in the house chores ! For example, as soon as we start cooking, they might spontaneously dress the table up. Or they might bring tools to help us as best as they can when we are tending to the garden. To summarize, it seems it brought a lot of joy and love in the house. They are many ways to build a kudo box. 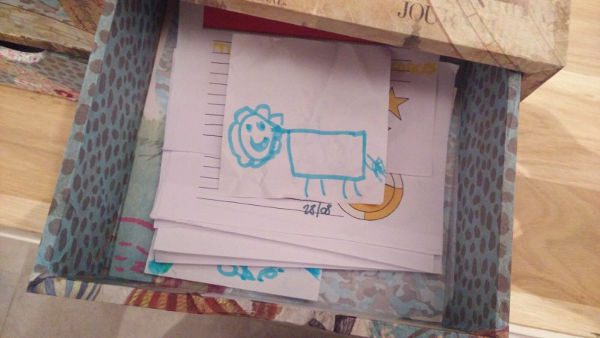 The simplest way might be to get an old shoe box, and to cut a hole in the cover. 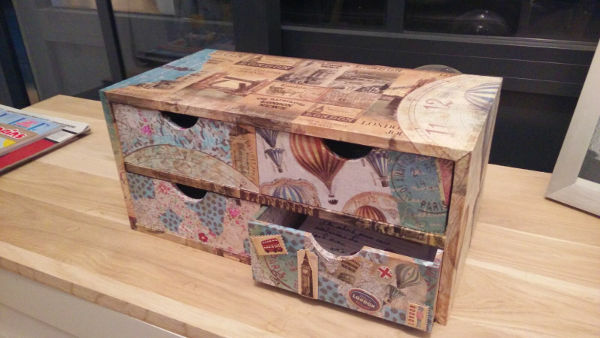 We bought a wooden box with four drawers, and spent some time all together to decorate it. This in itself was already fun. We started using simple pieces of paper as kudo cards, but I later downloaded and printed a bunch of official kudo cards from the Management 3.0 website. It turns out there is a version in french. An unexpected, but great, side effect is that my spouse and I started to get kudos as well ! It’s really nice to receive a word from your kids. For example, here is a drawing I got from my daughter.